SketchUp is my preferred drawing tool for designing tiny houses. It’s not a typical drafting tool which make mechanical drawings and drafting easy. It’s a 3D drawing tool for exploring ideas and making highly accurate 3D designs. It can also make 2D measured drawings and is favored by many designers & architects. Engineers would likely prefer real CAD software. SketchUp was originally created by Google. There was a free version and a Pro version. In 2012, Trimble acquired the Google SketchUp software and has been steadily advancing the software. For several years Trimble offered a free desktop version called SketchUp Make, but sadly it appears this is no longer available. Luckily there are two options that still exist. Recently Trimble released an online browser-based version called SketchUp Free. It’s a bit different to use than the desktop versions, but has much of the same functionality. The biggest difference is how you navigate the tools. SketchUp free is fun and easy way for beginners to get their feet wet without spending any money – you just need an internet connection. Currently there are two paid options for Sketchup, SketchUp Pro and SketchUp Shop. SketchUp Shop – It’s an upgraded version of SketchUp Free with several essential features activated. This option costs about $120 a year. SketchUp Pro – A license will set you back about $700, but its worth it if you draw professionally because you get a few essential tools professionals need. SketchUp can be a lot of fun to use, but there is a learning curve like any software. I recommend starting with an existing tiny house drawing to explore and customize. Then once you get the hang of it, try some original drawings like cabinets, furniture, doors, and windows. Drawing a complete tiny house as your first project would be daunting. 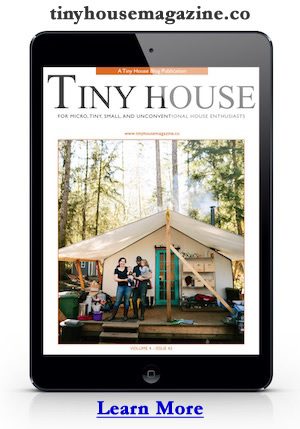 Starting with something complete and making edits will get you to your ideal tiny house design faster. You can see the kinds of tiny houses I’ve designed using SketchUp on my Tiny House Plans page. This entry was posted in How To and tagged 3d drawing, cad, drafting, drawing, google, sketchup, SketchUp Free, sketchup make, sketchup pro, trimble. I just installed the 2017 Make version on my PC and it says that it is a trial version, 30 days. Doesn’t seem like it’s free. I think you might have got the 2017 Pro demo. I got that by accident once too. I’m paying almost $5K month in Assisted Living. I wish I could take what’s left in savings and build a handicap accessable Motorhome. I was a Draftsperson/Designer in my adult working life. My legs are useless, but my mind is still good and so my hands and arms. I would need a lift for my motorized wheelchair, automatic door openers, hand operated driving capabilities, a walk-in soaker tub, adjustable bed, washer/dryer combo, solar generator and more. I would hire a driver whenever I needed to relocate. I’d spend the last years of my life traveling around the country visiting relatives and living comfortably off my Social Security and small retirement. Whereas now ALL my Social Security and ALL of my retirement PLUS a huge chunk of our savings goes to paying to keep me here. I don’t need much care. Someone maybe 1 or 2 hours a day. I’d have Medi-lert just in case. And when I die and go to see my wonderful husband again, the kids can sell the motorhome and divide that money and that might be left yet in savings between them. Sounds like a good idea to me… what do you think? I told you my whole story. What more “COMMENT” do you want? I don’t have a website . DO I? I am just another person exploring tiny houses, but I wanted to encourage you to continue exploring the tinyhouse option. The cost of even minimally assisted living is outrageous, and if you have found a way to combat it, more Higher Power to you, dear lady. I am sure your husband is up there right now, cheering you on.